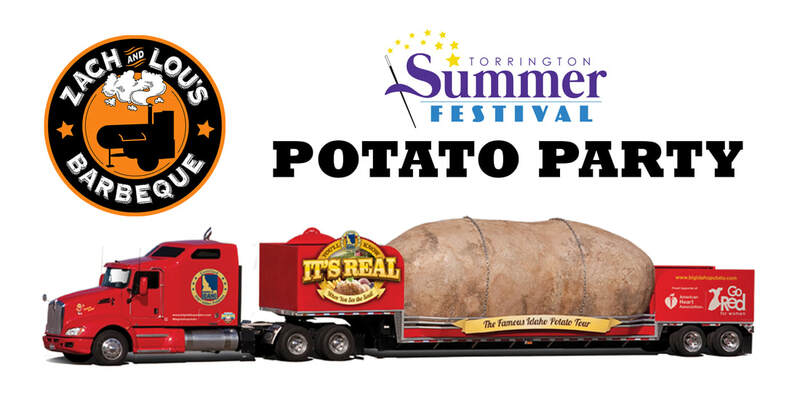 Stop down to our restaurant on Wednesday, July 24th between 12 noon and 5 pm to help celebrate the upcoming Torrington Summer Festival and to see the Big Idaho Potato Truck. Register to WIN some great door prizes! Click the link above, fill out the online form and you will be entered - it's that easy. ​Winning names will be posted at the event, remember you must be present to win. Pitmaster Lou Gabrial is going to be cooking-up some great items for this special day. Menu items will be posted soon!